“Be filled with the Spirit…As the church submits to Christ, so also wives should submit in everything to their husbands. Husbands, love your wives as Christ loved the church…” (Ephesians 5:18, 24, 25). 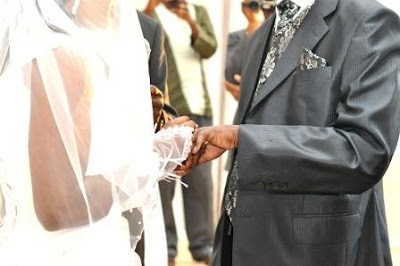 Those were the lyrics in the song that Bwalya chose for us to use as I led her down the aisle to be handed over to her bridegroom, Vernon Kapoma. 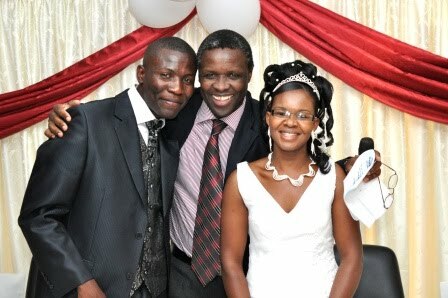 After weeks of preparation, this wonderful day in God’s providence finally arrived last Saturday, 18th September 2010. And, what a day it was! I have heard fathers speak about the emotions of sadness they experience in the midst of emotions of joy on the day they give their daughters away in marriage. I now understand what they mean! That is how I felt. 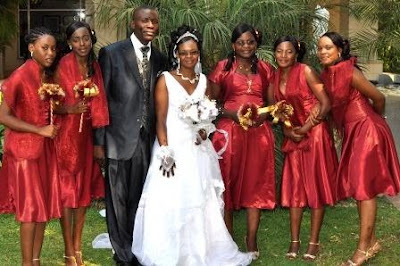 I hit the lowest note in my emotions on Friday evening when Bwalya finished her wedding rehearsals and came into the house to bid farewell as she was to spend the night with her bridesmaids at the matron’s home. She thanked Felistas and me for bringing her up. “I would not be where I am today if it were not for you,” she said, and her tears flowed freely. I realized that this is the end of an era. I felt as never before that I was going to lose my baby girl the next day. The rest of the evening I was battling with a sense of depression, and I totally failed to sleep that night. Well, the sun finally rose on the day when Felistas and I were to hand over our eldest daughter to her future husband, Vernon. I am human and cannot predict the future. However, the little that Felistas and I have come to know of Vernon, we could not have wished for a better husband for our daughter. 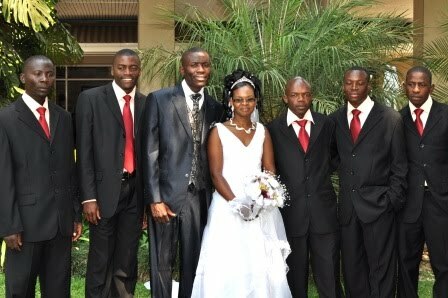 They chose Choolwe Mwetwa, one of my two closest friends, to officiate and preach at the wedding. (My other close friend, Ronald Kalifungwa, could not make it to this event as he was ministering in South Africa). Choolwe expounded the subject of “Vows” before making the couple say their wedding vows. The legal documents were signed and the epoch making event was over! At the wedding reception, I was asked to say a few words. I began by thanking all those who played a significant role in the raising up of Bwalya into the wonderful and godly young lady that she is today. I thanked Felistas, my wife of 23 years, for all her investment into Bwalya’s life from the very first day that God gave her to us. I then thanked Bwalya’s siblings—Mwila, Mwindula, Mwansa and Mwape—for providing the ambience in the home that proved a fertile ground for her maturation. 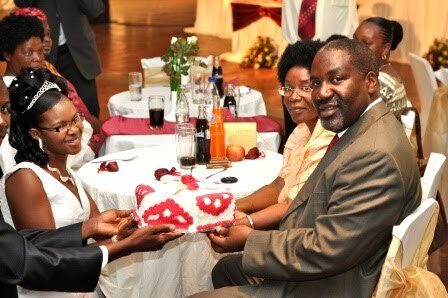 I moved on to the church and thanked Bwalya’s peers, who presently make up the young adults in the congregation. I remain ever grateful for the godliness that is evident among this group—relative to the worldliness I hear about in many churches. Where genuine godliness is lacking, churches can be among the most dangerous places to raise your kids! Finally, I thanked my fellow elders—past and present—who have counseled me and my family over the years as part of their oversight over us. It has been one of the greatest joys of my life to be surrounded by such godly men. 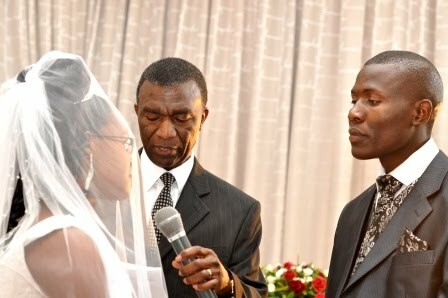 In my twenty-three years as pastor of Kabwata Baptist Church, we have had about four cases of divorce. Studying each one of them shows a common thread: The divorce has been the culmination of spiritual decay which started long before but had not been addressed. This has taught me one important lesson that I pass on to every Christian couple: Ensure that you are both spiritually healthy, and you can be sure you will not just survive the trials that come into the domestic circle but you will truly enjoy your marriage. Why is this so? I use Ephesians 5 to answer this question. When you are spiritually healthy, you want to obey God’s injunctions in Scripture. The Bible is clear: “Wives should submit in everything to their husbands. Husbands, love your wives ….” (Ephesians 5:24, 25). Where you have a wife who submits to her husband’s leadership and a husband who cherishes and nourishes his wife, there you will find true marital felicity. And yet, this is not just a good idea or a secret formula to achieve a happy marriage. No! When you are spiritually healthy, this is part of your obedience to God. It is your religious duty. Marital bliss is just a by-product. When you are spiritually healthy, you see the role models as standards worth aiming at. The Bible says, “As the church submits to Christ, so also wives should submit in everything to their husbands. Husbands, love your wives as Christ loved the church…” (Ephesians 5:24, 25). Many of us have been brought up in homes where our parents were very bad role models. Thankfully, the Bible now provides us with role models that we will never outdo. All we need to do is to answer the question, “How does the church submit to Christ and how did Christ love the church?” and we know what standards we must aim at. When you are spiritually healthy, the Holy Spirit empowers you from within. The Bible’s injunction is, “Be filled with the Spirit” (Ephesians 5:18). This is what makes Christian marriages so successful. They are propelled by an almighty power. They are therefore, unstoppable! If we are not being filled with the Spirit, we begin to be disobedient to God’s clear instructions to us and we begin to see his biblical standards as a burden instead of a joy. However, when you are spiritually healthy, you want to yield our lives more and more to the control of the Holy Spirit, so that he does with you as he pleases. You find it a joy to obey God, and the marriage bond benefits immensely from this. So, these are the words that I have been giving to couples in the last two months. 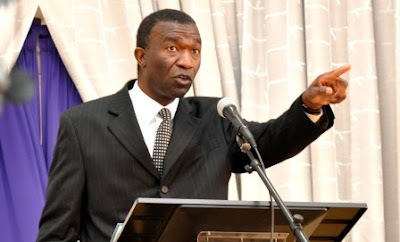 It is these same words that I hope and pray Vernon and Bwalya will keep very close to their hearts as they launch out in a relationship that is God’s greatest gift to humanity outside the gift of salvation in Jesus Christ. 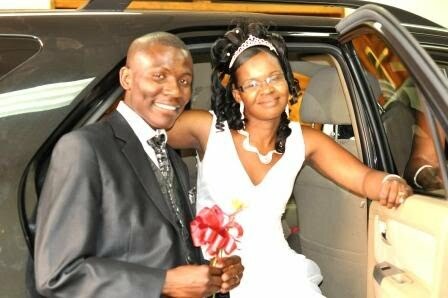 Vernon and Bwalya leaving for their honeymoon! Let me end this blog by thanking all of you who played any role in bringing our precious daughter, Bwalya, to this point in her life. Thank you very much for your support over the years, and also for your support during the wedding preparations. 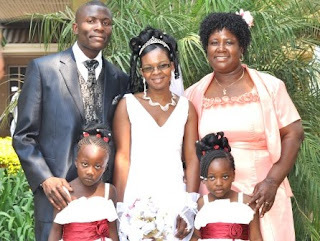 I thank you on behalf of my wife, Felistas, and on behalf of our wonderful children—Mwila, Mwindula, Mwansa and Mwape. God richly bless you! Congratulations to you and your dear wife. As the father of three daughters I can only imagine your feelings! And finally the day came, bringing with it a mixed bag of emotions. That little angel who had grown up before your eyes, and for whom you had made huge sacrifices of love was set to start her own life, her own family! Oh, it must have been an emotional experience. Excited? Yes. And sad? Yes. And the slow and sure steps down the aisle to the front of the church had to be taken. And your daughter was finally given away into the arms and care of someone whose name she now bears. Oh, what a wonderful gesture of confidence in your new son-in-law, to whom you and the Lord has now given this responsibility to love and to nourish her. This is surely every mother and father’s delightful moment. 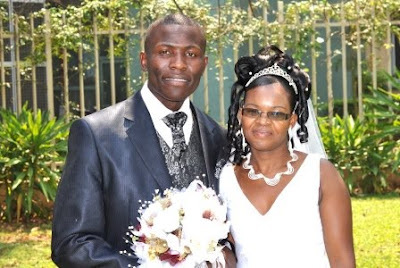 A chapter in your lives has just ended, and a new one has begun, both for you and for Bwalya and her dear husband. We thank God for the grace and wisdom He gave you over all these years to raise up a daughter who has finally honoured her Lord and her parents in this way. And we thank God for the godly man that the Lord prepared for her. We wish them happy and blessed days ahead. A sweet kid she has been, I have have faith she will will surely be a sweetheart to Vernon. Well done, Conrad and Felistas, this event must surely do you proud. Praise be to God. Praise God for this testimony to His grace in your lives. May Vernon and Bwayla experience a lifetime of deepening joy in our crucified, risen and returning Bridegroom! Wow!!! 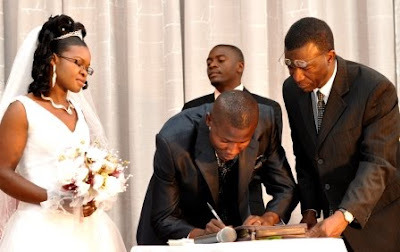 Congratulations Pastor Mbewe and Mrs Mbewe.You are such dear people and I always thak God for you and your family.Am happy for you and also for Bwalya. 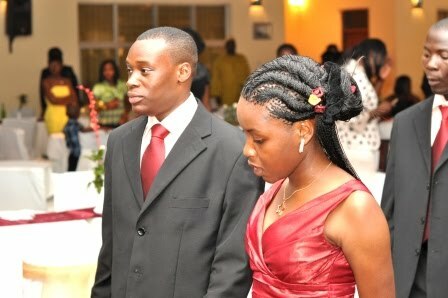 Am wishing her well and Gods blessings in her marriage. My love to your family. Chileya. 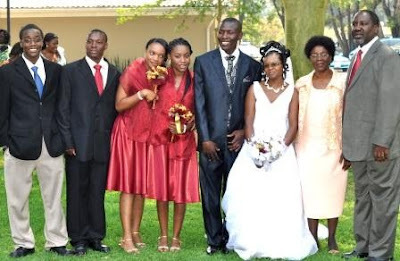 Ba Mbewe and Madam we rejoice with you saints and we bless God for such a wonderful testimony and blessing in the family may God be pleased to keep blessing amongst all your children. THANKYOU AND MAY THE GOOD LORD KEEP THEM IN THE JOURNEY OF MARRIAGE. Pastor Mbewe and Bana Mwindula, I remember Bwalya as a young girl and over the years marveled at the grace of God in her life especially during the brief months she stayed with me. It was evident that you had made great deposits in her life, spiritually and otherwise. I am thus confident that she will make the kind of godly wife that you have moulded her to be. Congratulations and may God continue to bless your labours. I wish to add my hearty conguratulations, and pray for blessings upon your family. Thanks everyone for your prayers and congratulations from all over the world. What can we say? We belong to a glorious worldwide family of God. Thanks again!